This is a story about my personal six month experiment about finding Pros & cons of digital reading. Before I opted to do so, I had always thought that I would miss the feeling of paper, but to my surprise I do not. I am quite impressed how easy and helpful it is to read on digital devices such as the iPhone and Kindle and other big screen smart phones. With the so many tablets available like Kindle, iPad, Blackberry Tab, Samsungs...it is sure a tempting and worthwhile attempt to read on these tablets. I start by doing a comparison and then taking some of the scenarios where digital reading is better while in some good old physical book is better! No Internet. The international version of Kindle is great for me exactly because it has no Internet. No surfing – just reading. By far, the best option is the instant delivery wherever you are. I can get books whether I am in Europe, Asia or USA. It is particularly great to receive your newspaper wherever you are; and even better to get it the night before publishing. Newspaper browsing is better than I thought with different sections or small abstracts. A felicitous combination for me is the Kindle and Instapaper. Instapaper, equally to Read It Later, allows you to quickly mark articles on websites to read them later. The great thing is that it only takes the actual article and erase all the rest around it. With Instapaper you can configure a subscription to your Kindle, so that once a week all your selected articles are uploaded on your Kindle for a buck. You can also do this with an USB for free. That way you create your own weekly newspaper and read it on your Kindle. There are also Apps from Instapaper and Read it Later for the iPhone. Here comes a huge problem. You can make notes in Kindle by selecting certain text pieces. All notes are saved on a clipping.txt file, which you need to transfer to your computer. Now, you have a big file with bits and pieces of texts not always referring to where it belongs to. Of course, that is all different for the books you bought on Amazon. Here, all your notes can be even accessed on your private Kindle page. Amazon makes little or no effort to provide a good way to take notes from different content. So, in conclusion, note taking is not greatly solved. I have not seen anything good for the Iphone either. In a book you just underline the phrase and that’s it. Basically, Amazon knows pretty much what you read where and when. For example, your last page read is synchronized between your iPhone and Kindle. 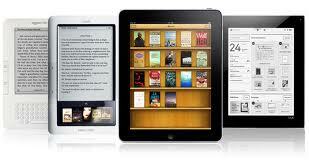 Check the Electronic Frontier Foundation article for more information on privacy and ebooks. There are ways of cheating the Amazon books by also making them available on PDF or converted eMOBI and also getting the Free Amazon books on the tablet. And believe me there are 100s of free Amazon e-books available (for free).